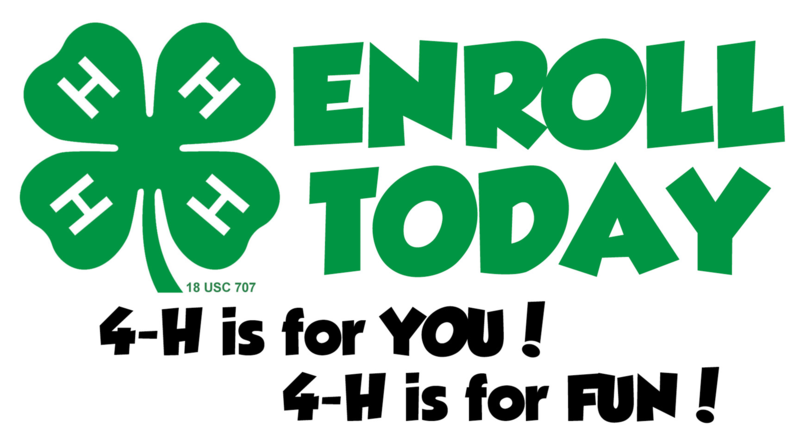 Youth members are required to pay a $20.00 participation fee if enrolled by October 31st, and a $25.00 fee from November 1st to the completion of the 4-H year. Adults pay a $5.00 volunteer applicant fee starting in the 2014-2015 4-H year. What are the age minimums for participating in Reagan County 4-H? Texas 4-H Mission: prepare youth to me the challenges of childhood, adolescence and adulthood, through a coordinated, long-term, progressive series of educational experiences that enhance life skills and develop social, emotional, physical and Cognitive competencies. 4-H gives them a chance to pursue their own interests “ from photography to computers, from building rockets to raising sheep. A list of 4-H projects is available online. They go places such as to camp, to state and national conferences. They learn to be leaders and active citizens. The first 4-H emblem was a three-leaf clover, introduced sometime between 1907 and 1908. The three leaves represented head, heart and hands. In 1911, at a meeting of club leaders in Washington, a fourth leaf representing health was added and the current 4-H four-leaf clover emblem was approved. It is protected by the U.S. Congress. The 4-H pledge was worded by Otis Hall, Kansas state 4-H leader. It was approved at the first National 4-H Club Camp in 1927 in Washington, D.C. The words “my world” were added to the pledge in 1973. 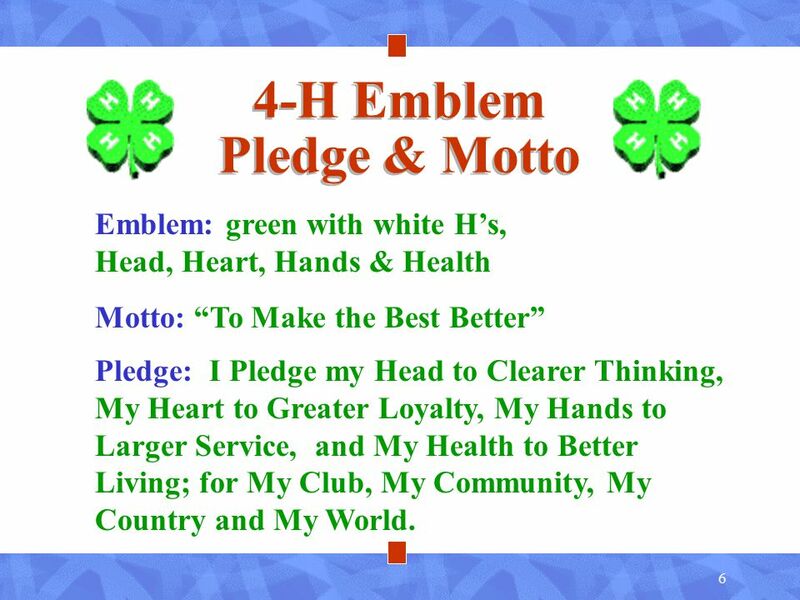 Their addition is the only change ever made to the 4-H pledge. HANDS stands for larger service, workforce preparedness, useful skills, science and technology literacy.